Please find here the documentation and follow-up of the 3rd SMTA Symposium in Ostana, Piedmont, from January 2017. 09:30 Presentation of SMTA’s vision and objectives of building a meta-network for measuring, labeling, communicating and implementing sustainability in mountain tourism. 10:15 Update on the international discussion in sustainability assessment in mountain regions after the World Mountain Forum in Uganda, Oct. 2016. 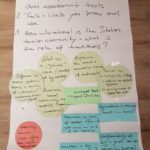 Discussion outcome – Task 1 The Mountain Research Initiative (MRI), Berne/CH, is leading a joint ongoing effort to adopt and tune the Sustainable Development Goals (SDG) to a mountain context, and streamline existing multi-criteria sustainability assessment tools with indicators of the SDG. As a next step, the mountain specific SDG indicator list would need to be looked at for an even more specific mountain tourism context. Partnering within the MRI while adding specific tourism foci, by incorporating existing tourism specific assessment criteria and tools, is one of the tasks for SMTA identified here. 10:30 Showcase and round table discussion: the current state of sustainability in Italian mountain regions and the relation with international work. Focus: assessment tools, labels, local and regional implemented initiatives. 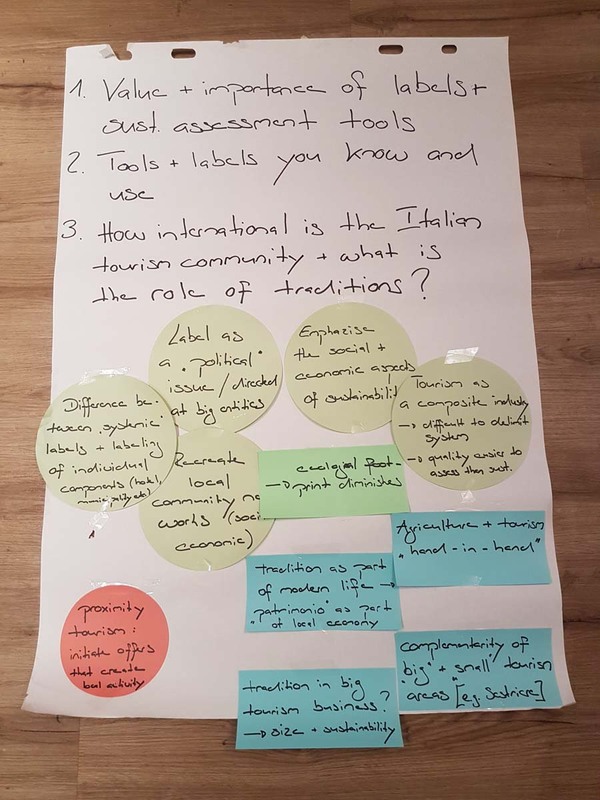 Discussion outcome – Task 2 It became clear that there are many demonstration cases and initiatives for sustainable tourism in the Italian mountains, and specific in the Piedmont region. Many of these good practice initiative are somehow hidden though and not very visible. It should be the task to better showcase what exists, to better collect and connect the variety and diversity of projects and programs. 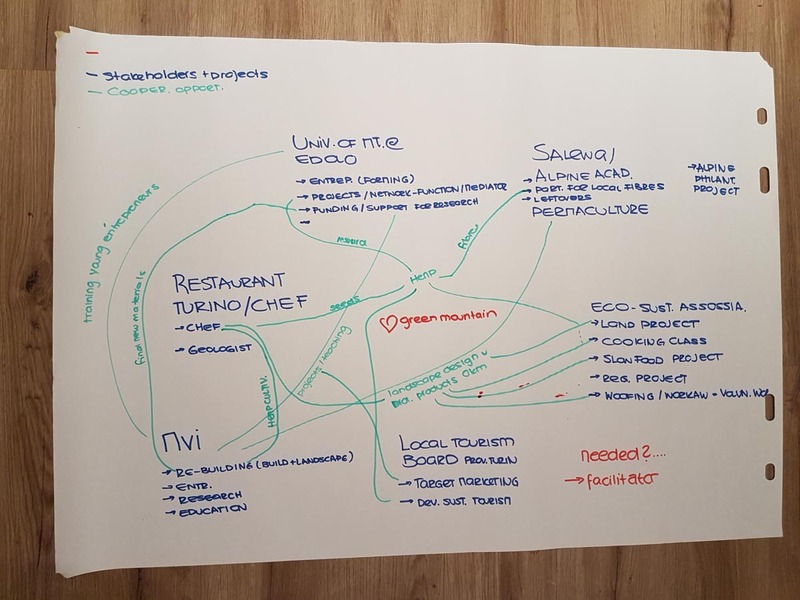 There is a clear open field for SMTA to evolve as such a network platform for collecting, connecting and displaying sustainability initiatives related to mountain tourism. 14:30 Speed-intro: the circular economy and cradle-to-cradle design in the context of mountain regions. Presentation. 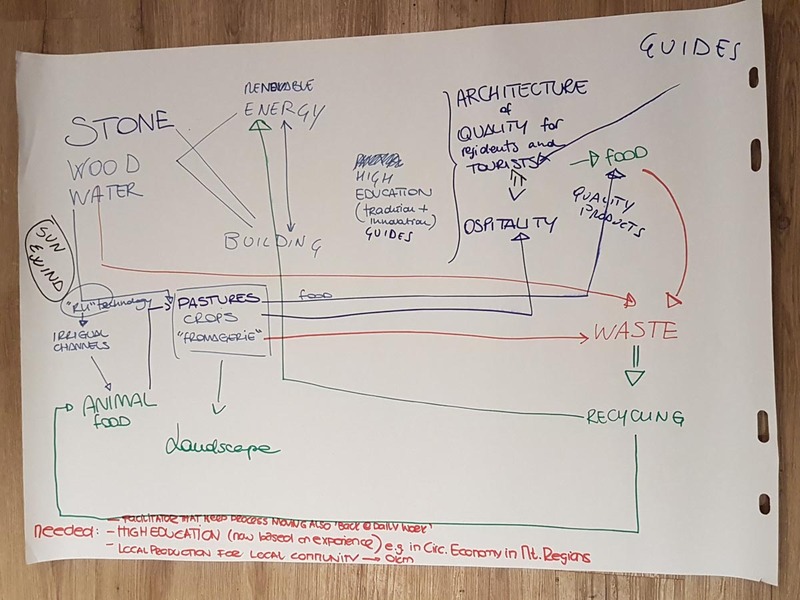 14:45 Workshop “Tourism beyond its disciplinary boundaries: the potential of a circular economy for resilient mountain regions” with a specific focus on Italy. 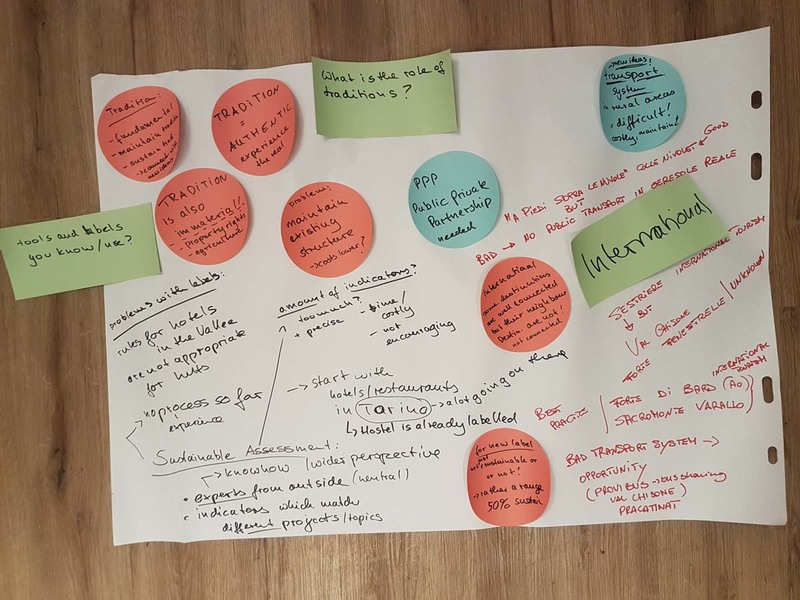 Discussion outcome – Task 3 We need to move beyond the disciplinary tourism supply chain boundary in order to strengthen resilience of mountain regions, and in order to innovate mountain economies in a sustainable way. Collaboration within the tourism supply chain (i.e. 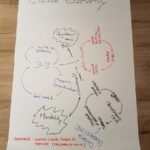 accommodation, gastronomy, transportation, activities, services, information,..) needs to be strengthened, but beyond that the goal should be to develop a circular economy with collaborative service and product clusters. 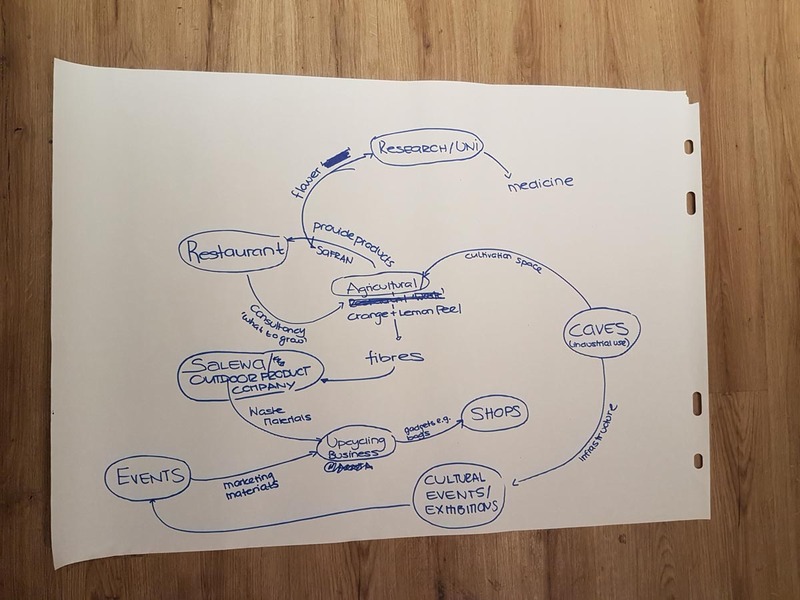 Agriculture, forestry, arts, public services, energy provision, manufacturing, and other sectors need to find new connections with the more classic tourism supply chain stakeholders. The circular economy is about finding and using synergies by collaboration – one’s output (“waste”) is the other’s input (“resource”). This way, mountain regions can become more diverse and more flexible in adapting to and preparing for change, and their economies can be strengthened in a resource efficient way. 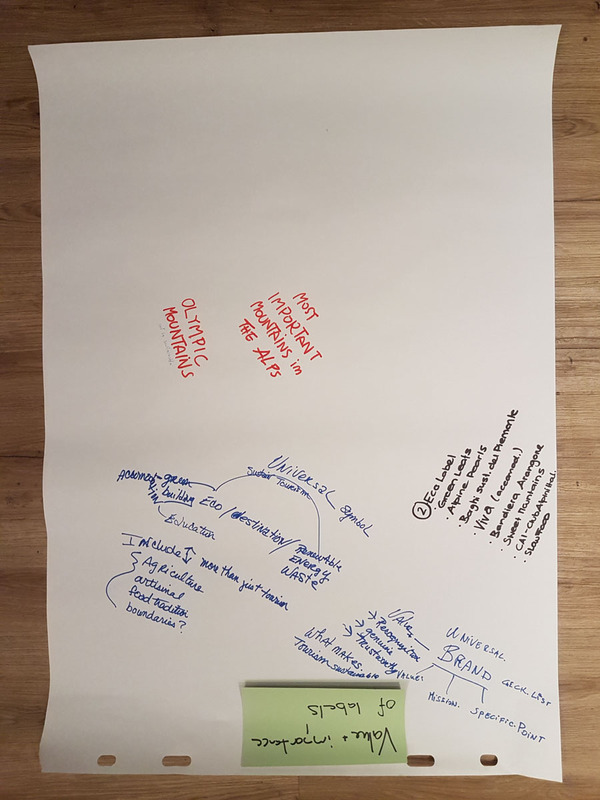 A key task for future work of SMTA is to support the spreading of knowledge and ideas on the circular economy, and to foster new diverse clusters in mountain regions. SMTA will seek to develop new projects to support the circular economy development in mountain regions. 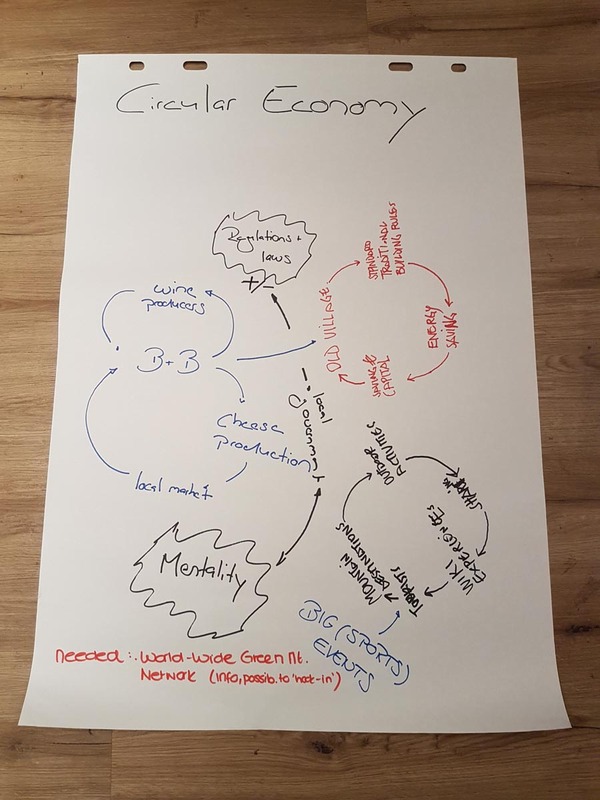 Some visual outcomes of this workshop – participants designed examples and cases of local-regional circular economy systems, where tourism is the starting point. 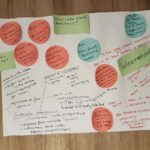 16:00 Synthesis and summary: how to build the meta-network in measuring, communicating and implementing sustainability in mountain tourism? 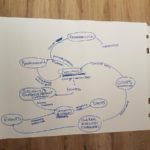 What are next steps? Overall Symposium Outcome This 3rd SMTA Symposium for the Italian/Piedmont specific context showed great interest and amazing potential of existing and new innovative initiatives. 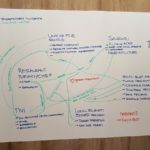 In addition to the valuable discussions and personal networks we built, three main tasks could be identified: 1. Work with MRI and others to further develop existing sustainability assessment tools for mountain regions with a tourism focus, based on the 17 SDG; 2. 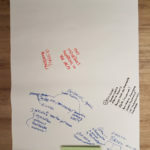 Collect, connect and display existing initiatives for sustainable mountain tourism for inspiration, motivation, learning and mimicking; 3. 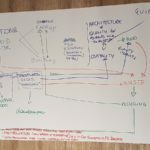 Develop circular economies in mountain regions for building their resilience in a sustainable way. 16:30 End of the 3rd Symposium and outlook on the 4th SMTA Symposium, 2018, South Tyrol (date not confirmed yet).